This week’s plant of the week in the Country Life Nursery is Lavandula angustifolia or Old English Lavender. 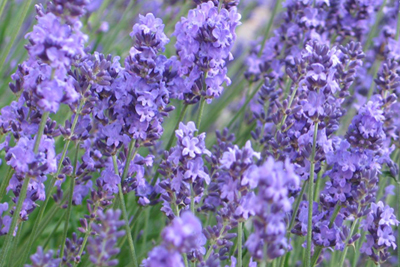 This particular type of lavender has silverfish leaves and beautiful purple flowers. Its scent is unmistakable and a joyful addition to any garden, while the colour is a great lift for a border. This plant is also very happy in dry conditions – a great advantage for growing lavender around your garden, and bees love it because of its high nectar content. Buy a box of 8 x 1 litre plants of Lavandula angustifolia (Old English Lavender) normal price is £55.87, special 40% plant discount, new price is £33.52 including delivery.